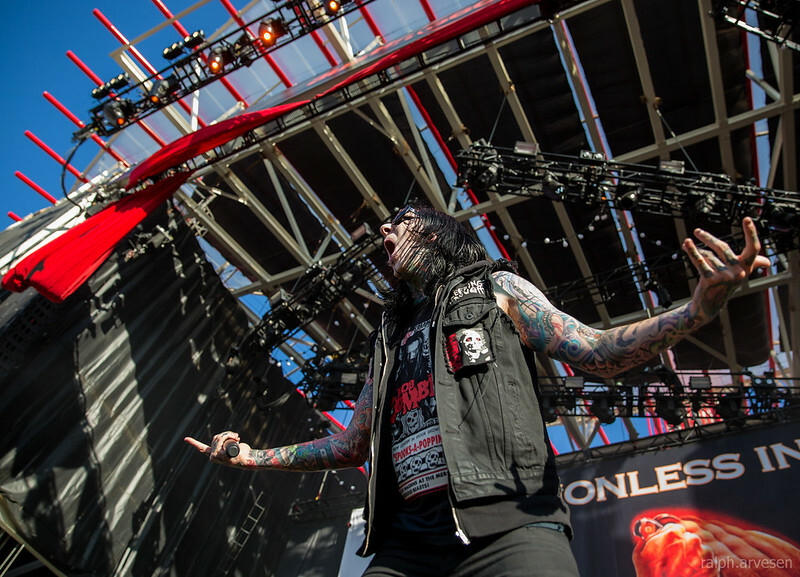 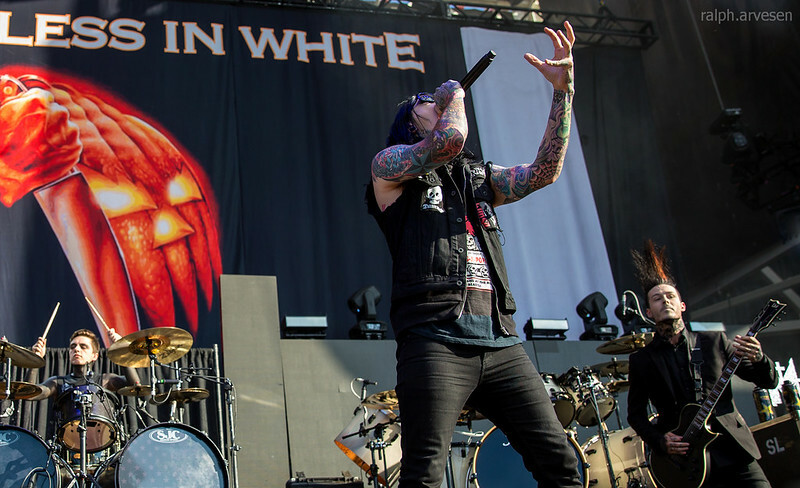 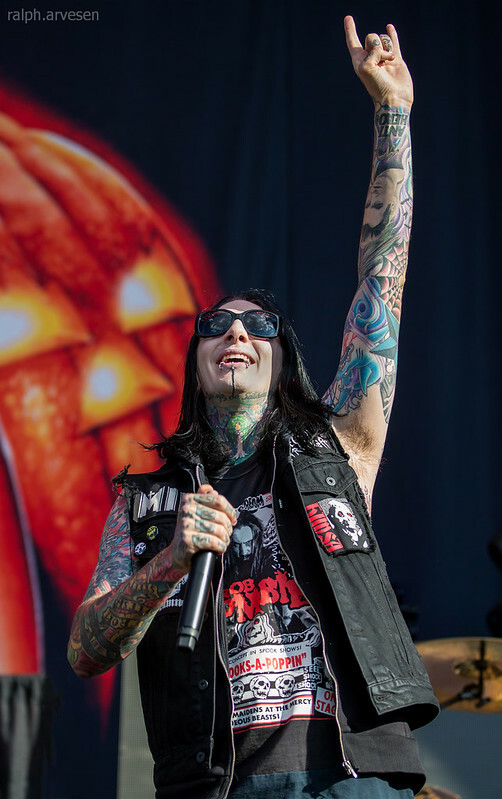 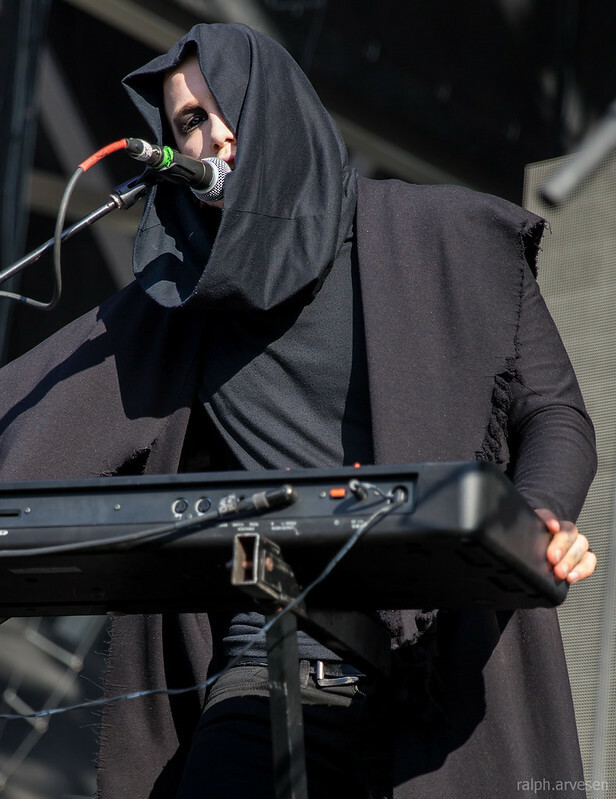 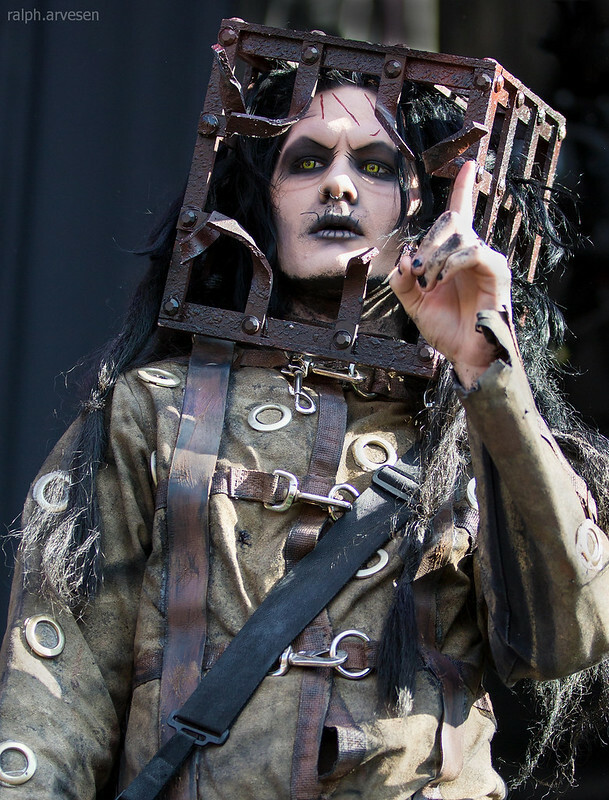 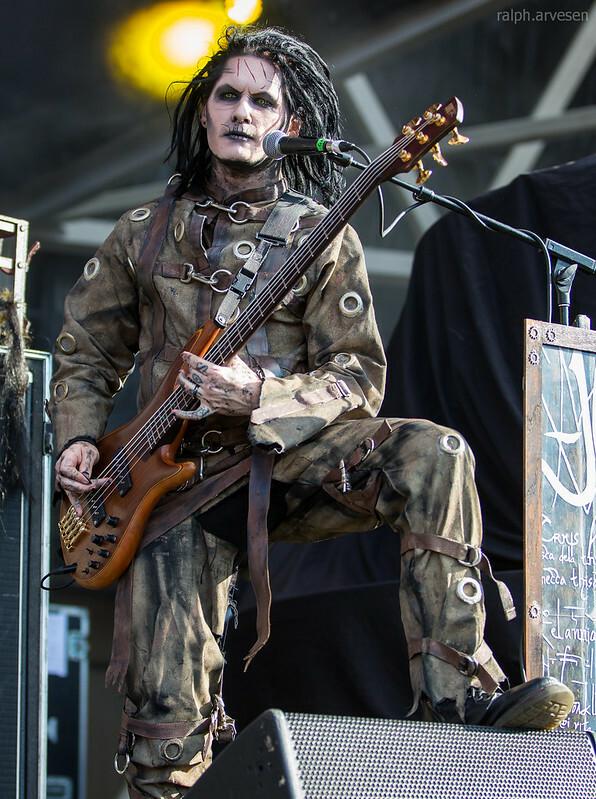 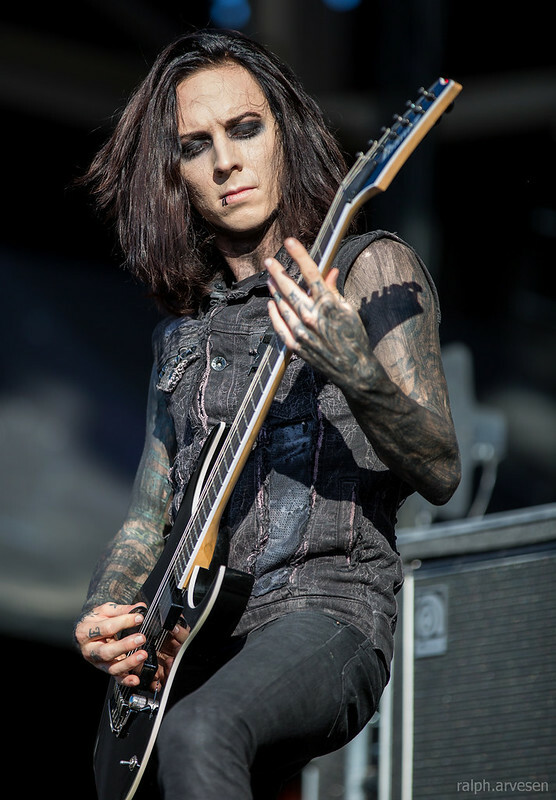 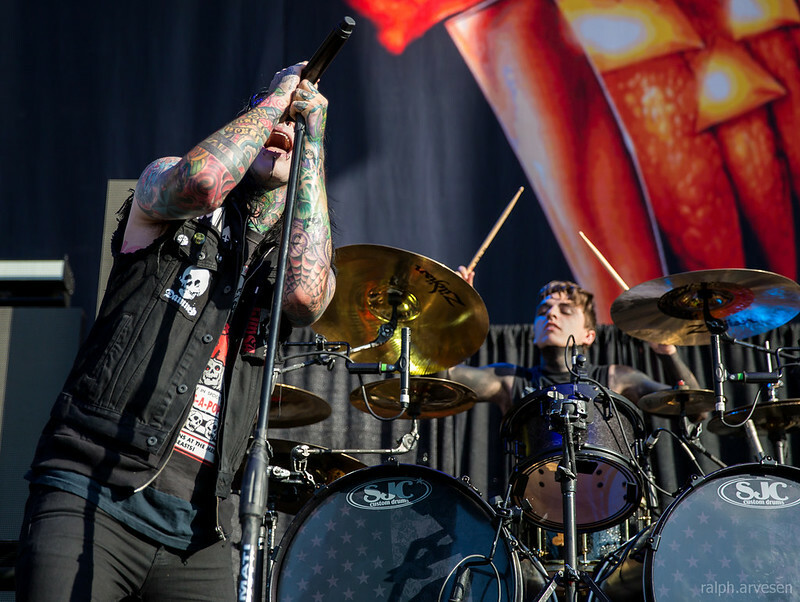 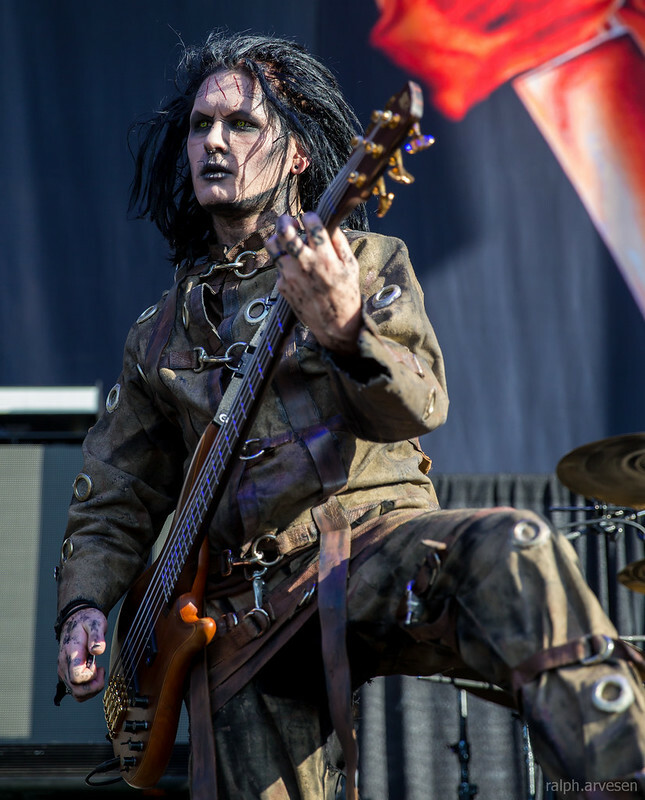 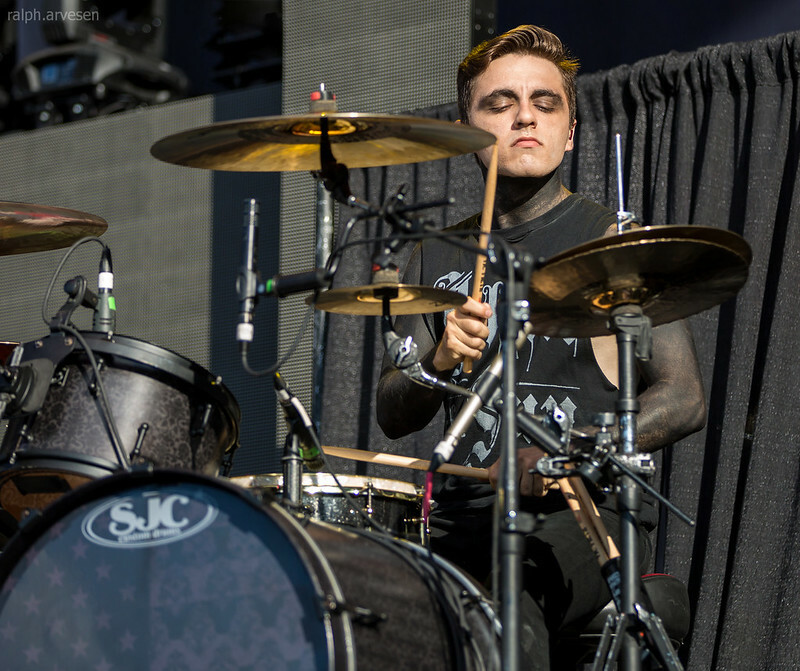 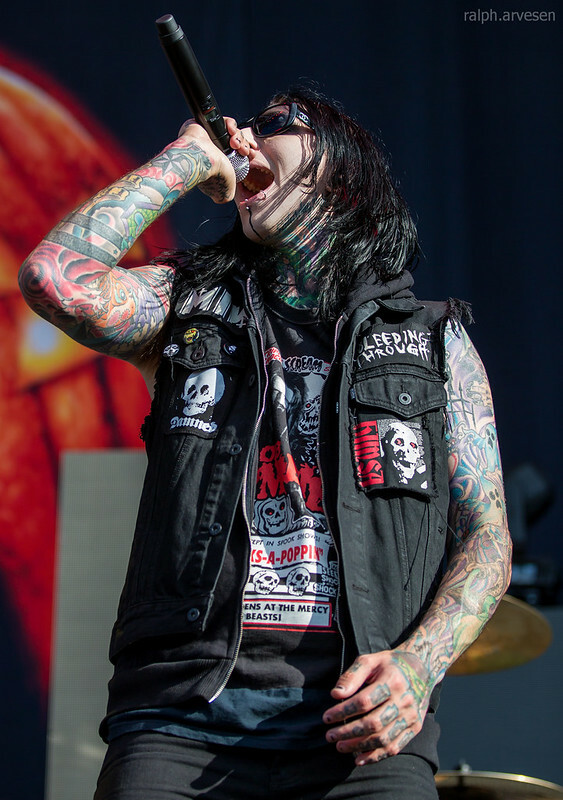 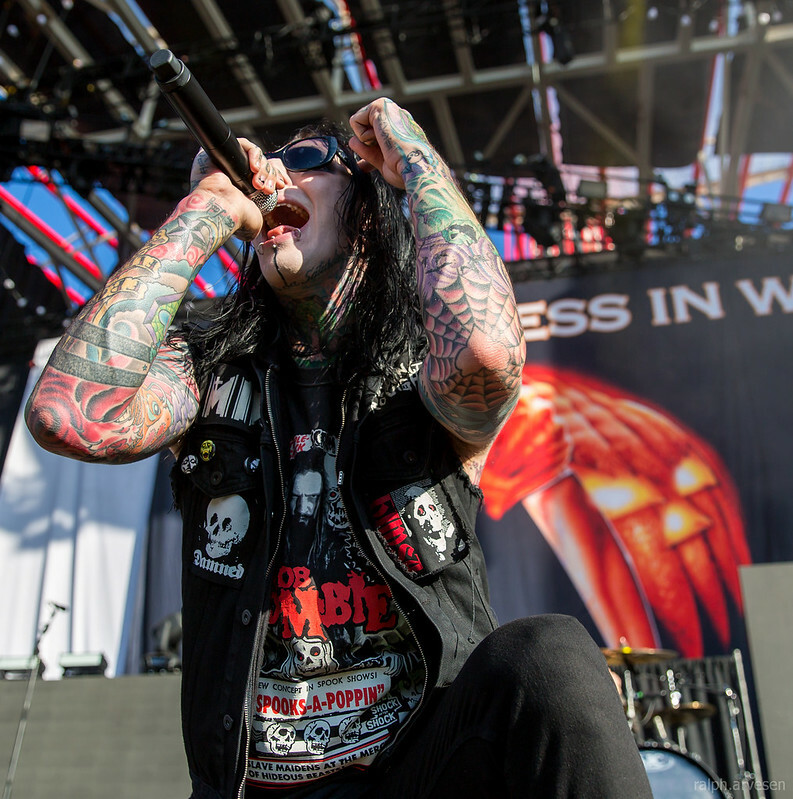 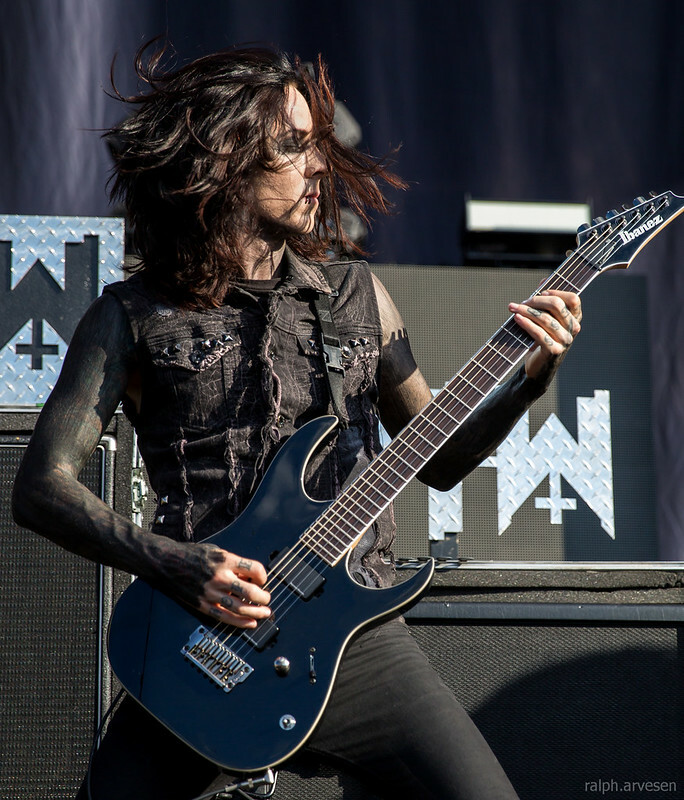 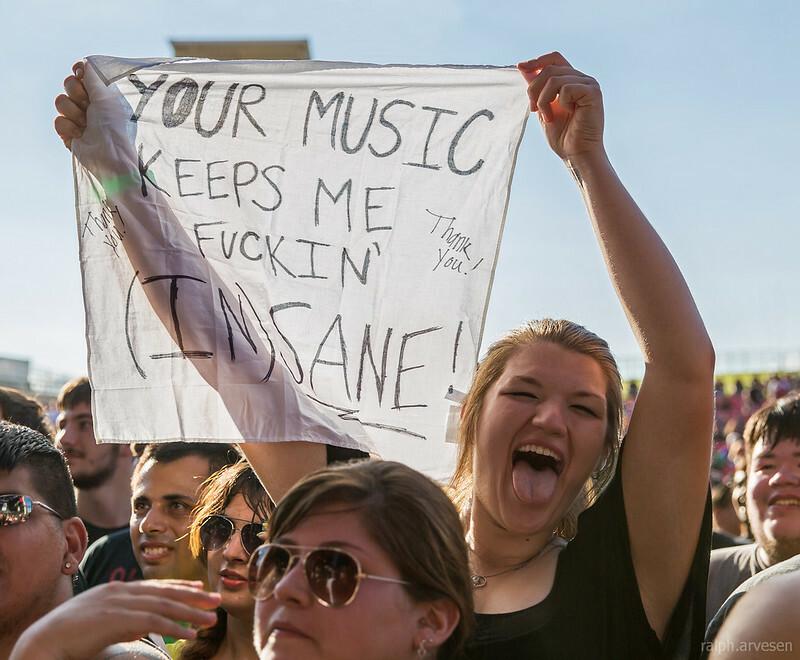 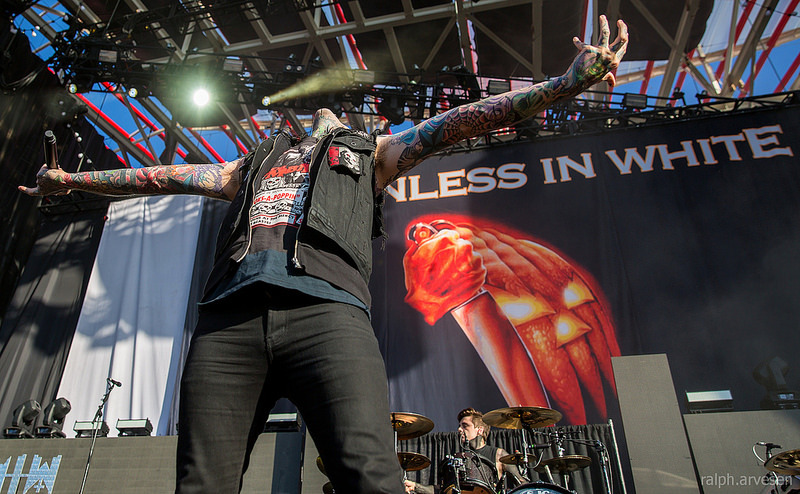 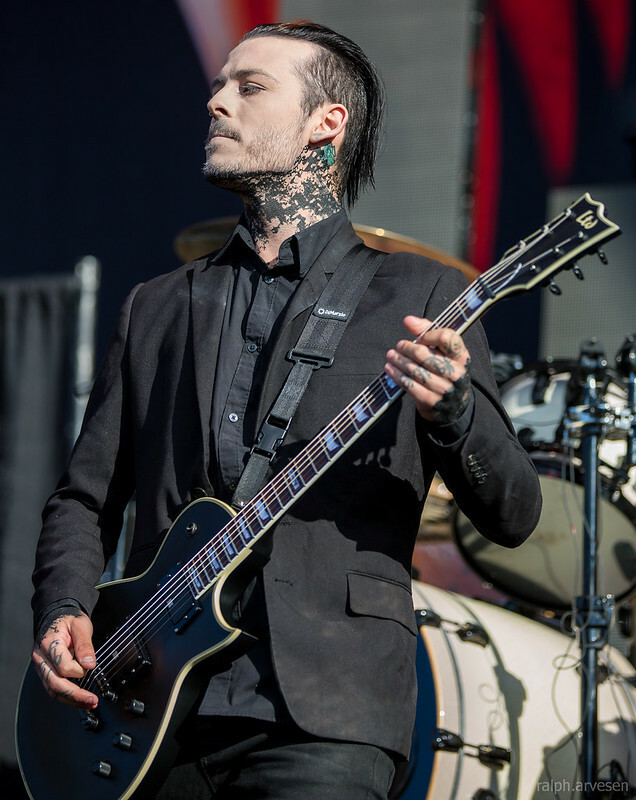 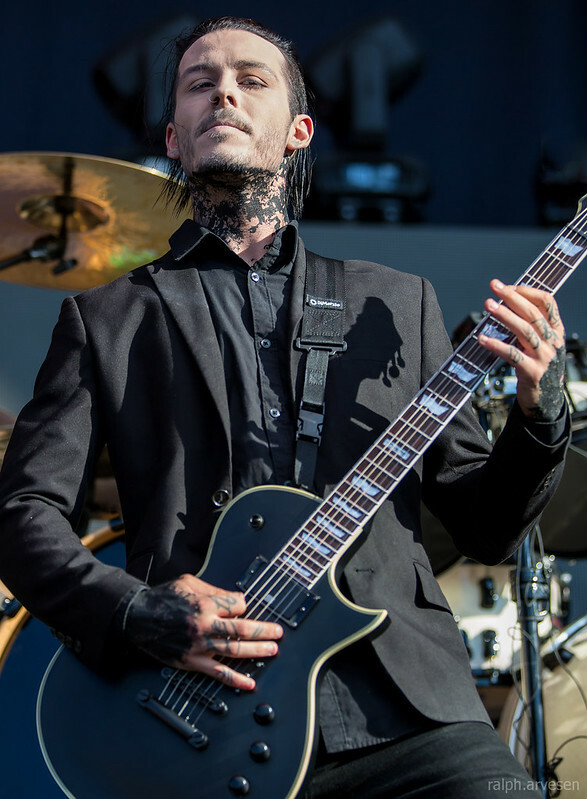 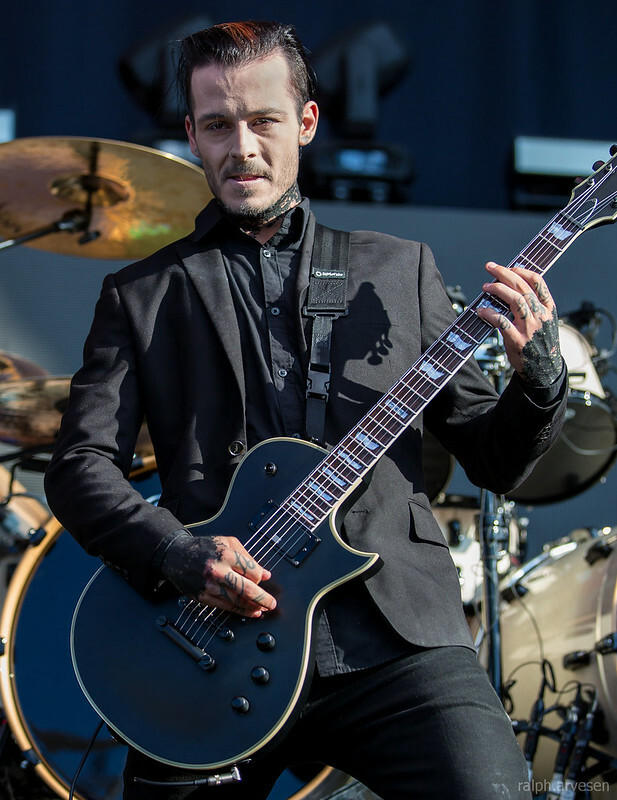 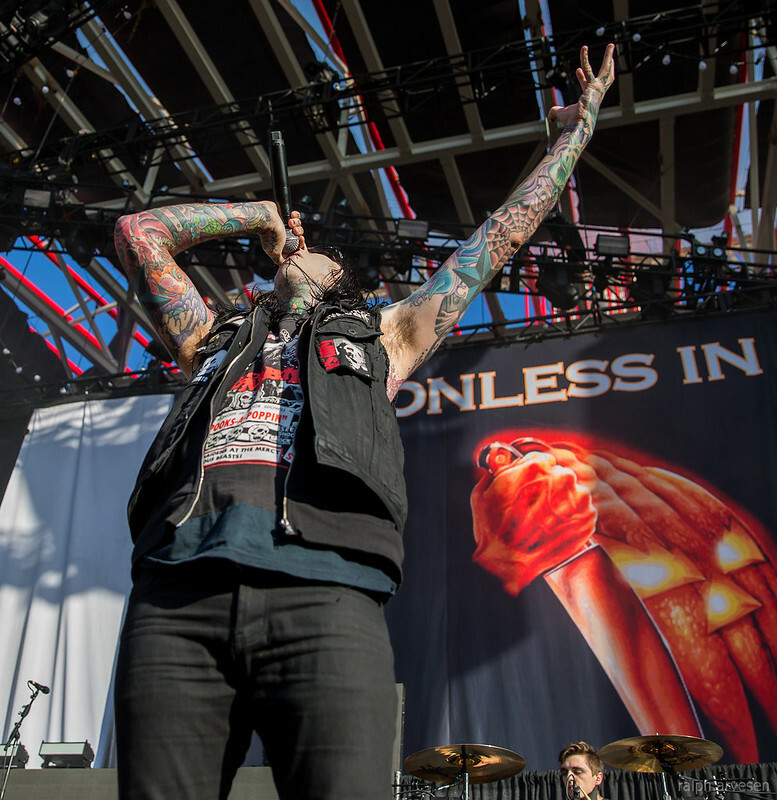 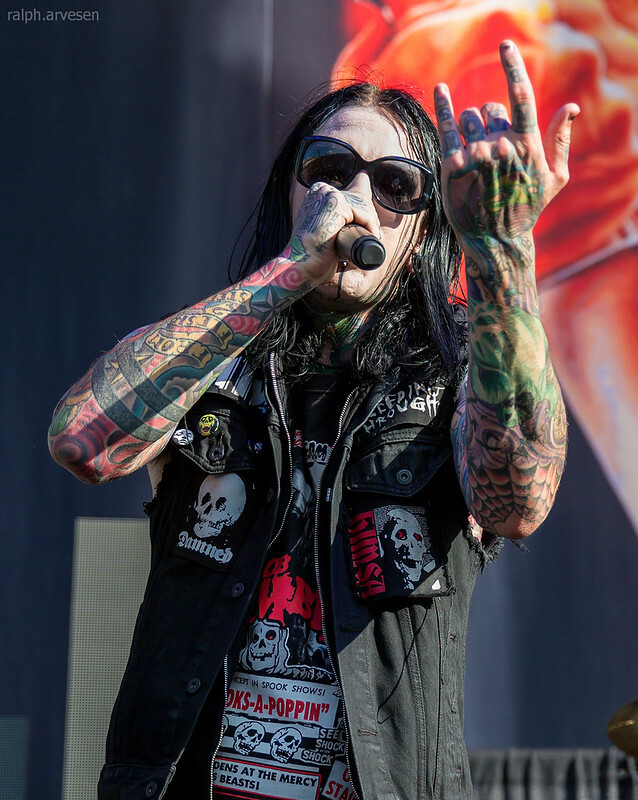 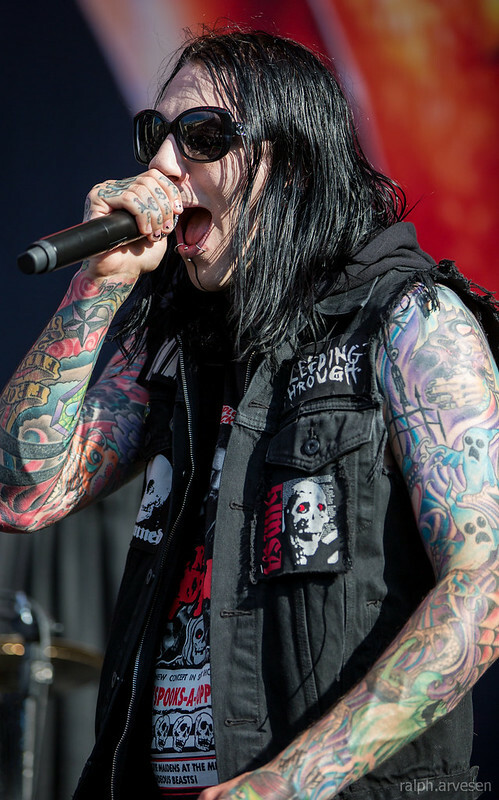 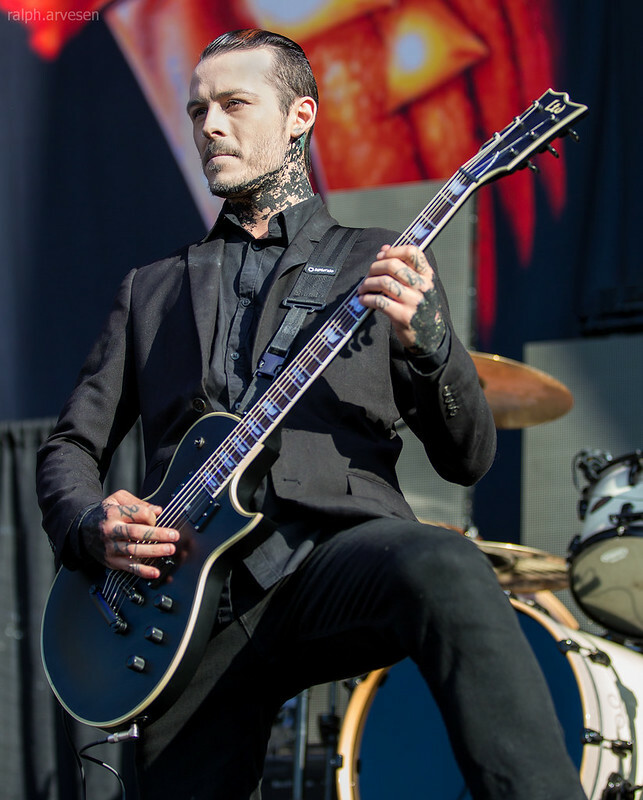 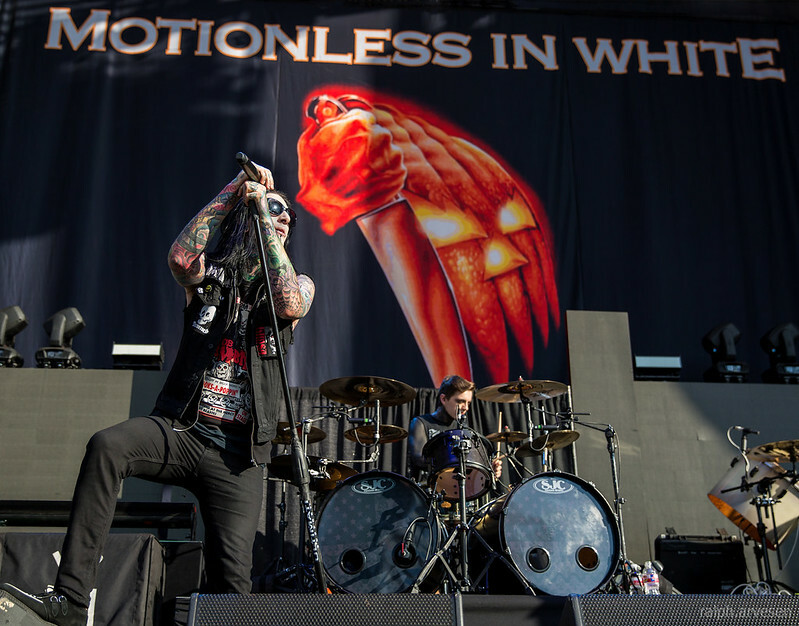 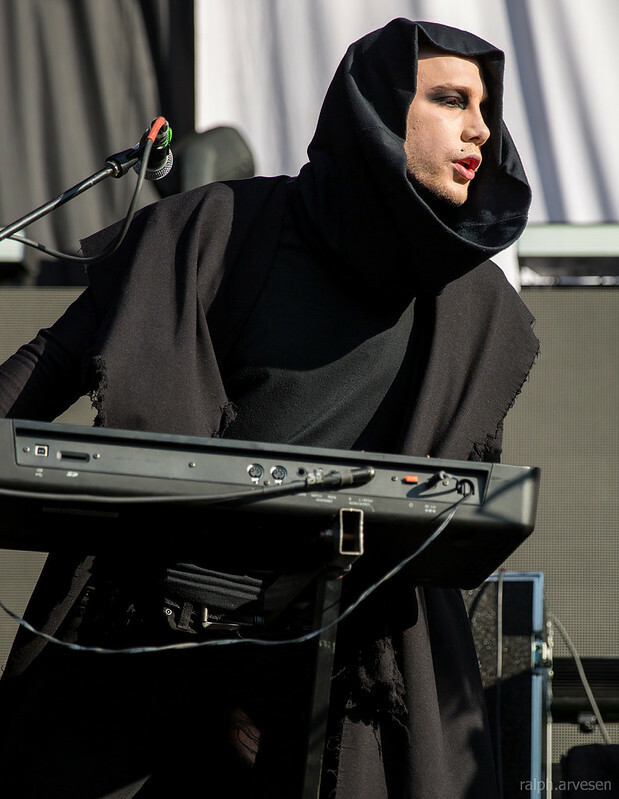 Motionless In White performing at the Austin360 Amphitheater in Austin, Texas, September 2, 2015. 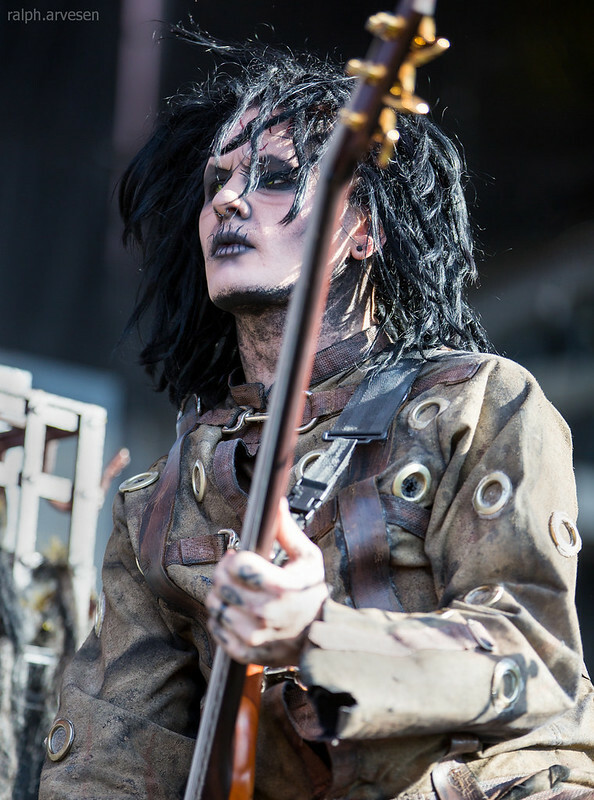 Band members include Chris Motionless, Ricky Horror, Josh Balz, Ryan Sitkowski, and Devin "Ghost" Sola. 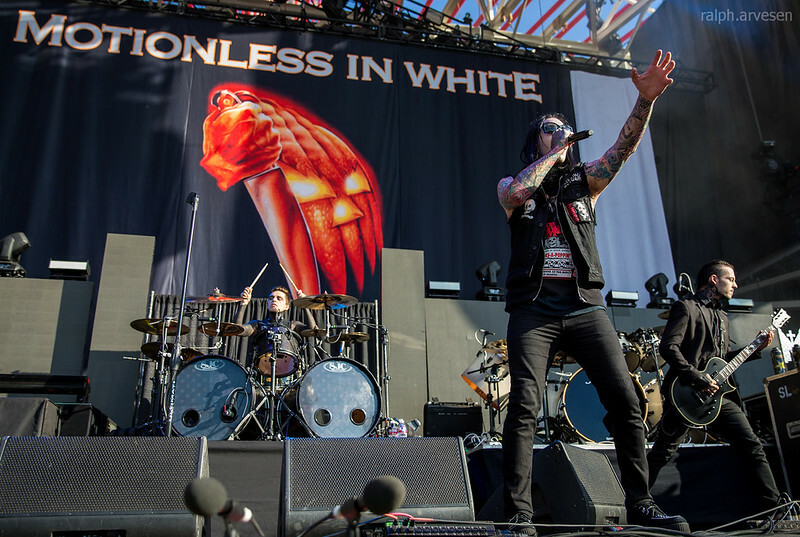 Motionless In White has been touring with Bullet For My Valentine, Lamb of God, and Slipknot. 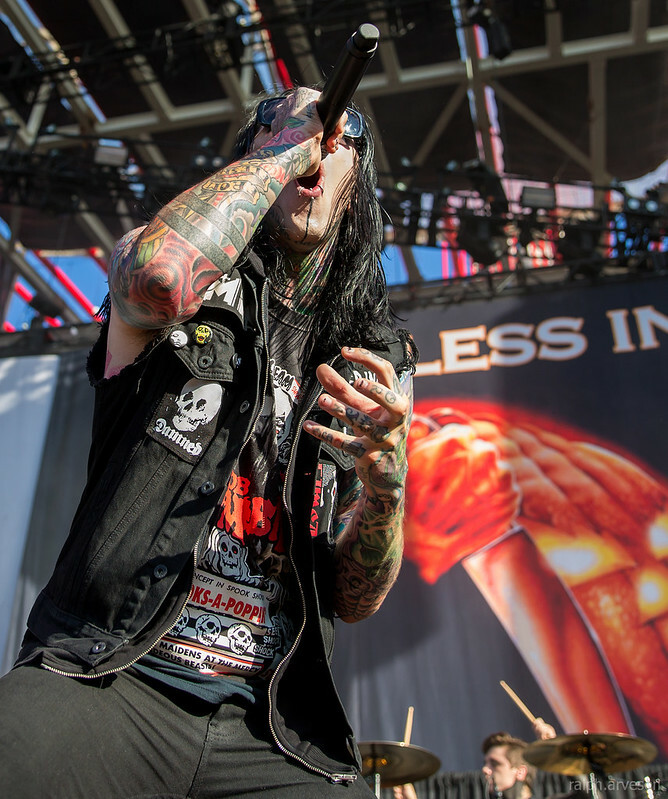 They continue their tour Europe, Australia, and wrapping up in the United States in Miami at the Axes & Anchors.